Kwento Ni Toto shares some good news from one of the brands where we usually shop, none other than SM. 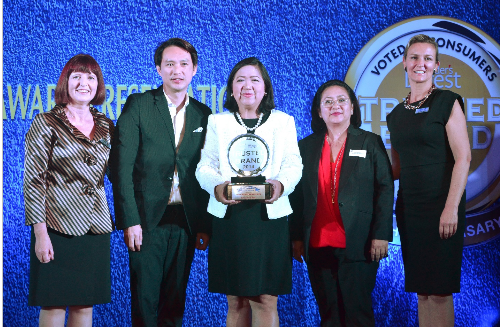 SM Supermalls clinched, for the second year, the Platinum in the Reader’s Digest Trusted Brand Award for the Shopping Mall category in the Philippines for 2014. As the ultimate seal of consumer approval, the Trusted Brand Award reflects SM Supermalls’ commitment to trustworthiness and credibility, quality, value, understanding of customer needs, innovation and social responsibility. Winning this award reaffirms SM Supermalls’ commitment to constant innovation and responsible mall development. The company’s duty goes beyond serving its customers inside the malls as it is also implements sustainability programs benefitting the communities where an SM mall is located. This award motivates SM Supermalls to even work harder in order to maintain the trust its customers have given the brand. And one important reason why SM Supermalls is the Filipinos’ most trusted mall brand is perhaps because it’s never veered away from what it’s been known for through the years - fun and affordable luxury shopping experience. This is what SM Supermalls is all about.